The overdetermination of education as a moral endeavor is rife both within the profession and in public and political discourse. It is often grouped together with healthcare and social work as a “caring profession.” As the child of a middle school special education teacher in a small, under resourced rural school district, I sympathize with the utility of this moral valence, both as a source of motivation for overworked teachers and as a lever to extract more public commitment for schools. However, as a dramatic set of recent political actions led by public school teachers — including echoes of an older tradition of labor militancy like wildcat strikes — suggests, a healthy dose of political economy should perhaps be injected into debates about the future of education. One potential route for such an analysis comes out of the question of whose interests the current educational system is serving, or more pointedly, who is profiting. As another article in the Guardian series argues, public education has been folded into a longer-term and more expansive libertarian project to reshape American society. Betsy Devos is just the most galling manifestation of this push, described in books like Nancy MacLean’s Democracy in Chains and Jane Mayer’s Dark Money, to more or less return America to the pro-business, anti-statist policies enacted after the defeat of Reconstruction. This can be seen more broadly in the wholesale transfer of public funds to private managers through charter schools, in the capture of curricular and testing functions by a few powerful external vendors, in the highly racialized school to prison pipeline, in the increasingly expensive credentialization process where schools and departments of education serve as cash cows for universities and indebt teachers-to-be in the process, or in the vilification and decimation of teacher unions. It is a small elite who are profiting and a lot of teachers, students, and parents who bear the burden of decreased resources and increased external pressure. One can roughly classify this approach to analyzing the contemporary state of education as diagnostic, and its target sits at the intersection of neoliberalism and a radical strain of libertarianism. 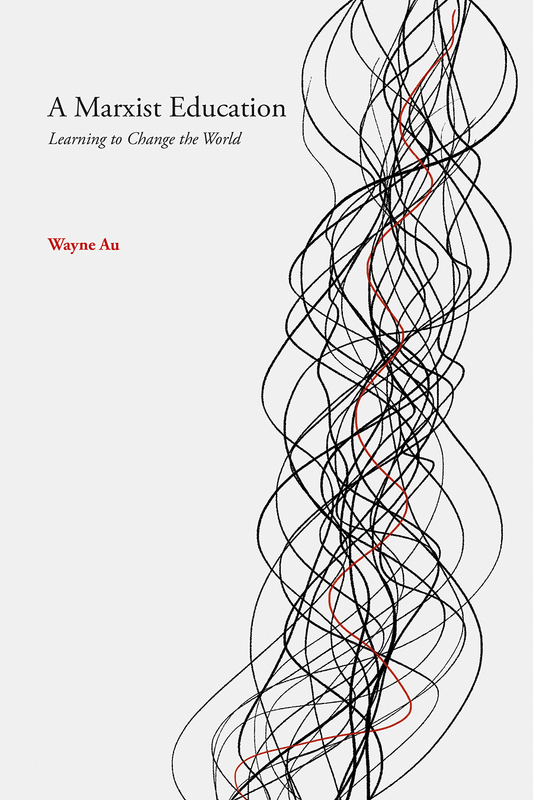 In A Marxist Education, the scholar and education activist Wayne Au offers another potential route, which I will classify as therapeutic. Au equates a Marxist approach to education with the methodological commitments of dialectical materialism. Such a perspective “sees everything in constant motion; understands contradictions as the basis for all movement, development, and change; sees everything as related and connected, where even opposites make up a relational whole; asserts that the development of a process happens in a spiral, not a straight line,” and in general resists the atomism of educational thought of a more positivist bent. The therapeutic aspect of this approach is to constantly remind us that a complex method is required to capture a complex reality like that of the political economy of education. Such a reminder is important, because as Wittgenstein so powerfully argued, we are often bewitched by our own language and concepts to the point of constructing elaborate problems where a quick reference to our practical commitments shows us very clearly how to go on. Au has written powerfully on the ways in which high stakes testing structurally disempowers minority students, distracts from core educational tasks, and has the ramifying effect of further syphoning off public resources from already under-resourced schools. Following his teacher Michael Apple at UW-Madison, he also documents how “the unequal distribution of power leads to the unequal distribution of curricular knowledge,” leaving committed teachers the difficult task of counteracting the capture of “commonsense understandings” by corporate or religious interests. There are ways in which the standards and accountability movement and the culture wars have bewitched educators, parents, and policy makers as to what educational justice requires or what an educational success might entail. However, there are more interesting things that one can do with Marx than enumerate the complexity of concerns that are familiar to anyone on the Left spectrum these days. While Au spends a great deal of time making his stripped down version of Marx available to critiques of high stakes testing, the charter school movement, and the ways in which even spaces of resistance are unequally distributed amongst different groups due to schooling’s function of reproducing class relations, he is still stuck within a frame that overinflates the agency of teachers and students by importing some of that strong moral perspective into our understanding of schooling. An excellent example of this comes in the form of curricula that Au draws from his work as editor of Rethinking Schools, a social justice magazine for teachers. For instance, he points to a third-grade teacher in New Orleans who engaged a group of students by urging them to draw on their lived experience of climate change (e.g. with Katrina and other extreme weather patterns that have occurred in recent history) to develop an awareness of “global shifts in climate, as well as how human actions like burning fossil fuels are contributing to these changes.” Such an awareness would position students “to decide whether they want to do anything to address this problem facing their own community and the world.” After some deliberation the students decided that the best use of this new agency was to write a letter to the president expressing support for the 2015 Paris Climate accords. Such curricula are all well and good, but as a Marxist education I would argue that they pale in comparison to what has been occurring within the ranks of teachers in states like Oklahoma and West Virginia. There we have seen not only the development of a class conscience (e.g. in demanding raises not just for teachers, but for all public sector workers), but the expression of different possibilities for political agency that, granted, while not available to third graders, nevertheless push at the structural levers that cause so many difficulties in public schools. Without such a connection to class politics it is unclear how the dialectical materialism of Au gets us much further than the liberal pragmatism of John Dewey, which as Max Horkheimer argued long ago is perfectly suited to the needs of capital. This is not to simply criticize A Marxist Education, as its political commitments are clearly laudable and Au speaks with great passion about his profession. Internecine debates on the left about Marxism’s compatibility with the concerns of feminists or those struggling for racial justice should not distract us from the fact that people are profiting off of mass schooling to the overall detriment of our education system, and these are the real targets of Au’s critique. However, the book does suffer from an occluded view of certain possibilities, therapeutic or diagnostic, that can come from the radical left if one doesn’t focus too much only on what takes place in the classroom. Part of this requires a different kind of therapy, one that entails switching from the common romantic, morally inflected framing of teaching to a more tragic view. In The Falling Rate of Learning David J. Blacker takes up Marx’s hypothesis concerning the tendency of the rate of profit to fall and describes a broader neoliberal project that he calls “eliminationism.” As he describes it, eliminationism marks the “withdrawal of interest from elites in that project of universal education because the needs of capital have changed.” This view of capital’s demands articulates very nicely with propaganda emerging from neoliberal and libertarian discourse that reframes education as a personal investment in your future earnings potential, which has breached so many firewalls between the project of universal education and the specific demands of private employers. I teach undergraduates and they often have a difficult time arguing why, on the terms set by their own desires for their education, their needs wouldn’t be better met by an in-house training program at an industry leader. There are enough versions of Marxism, or enough points of inflection in Marx’s thought, that it is perfectly fine for a book called A Marxist Education to not spend a great deal of time talking about the interests of capital. However, as the newfound labor militancy of public school teachers suggests, reckoning with these shifting interests seems very important for achieving the political goals underwriting Au’s scholarly and pedagogical work. When teachers succumb to a vision of, as the book’s subtitle says, “learning to change the world” from within the confines of their profession alone (e.g. in curricular development and pedagogical approach), then something important is lost from the perspective of advocating a truly Marxist education. What seems more important at the moment is the building of a social formation that could sustain a dialectical materialist worldview in ways specific enough to license a wide range of political and cultural activity, as described so comprehensively in Michael Denning’s The Cultural Front, an account of the 1930’s, perhaps the last time such a formation flourished in the United States. 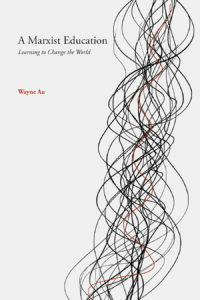 Such a vision is expansive enough to encompass Au’s dialectical approach to education, but has the analytic purchase and diagnostic specificity to push beyond a moralized conception of teaching that often has the effect of disempowering teachers in the face of powerful, countervailing pressures from the classes which have never and most likely will never support the vision of comprehensive, quality, mass education in the service of mass democracy. Michael Schapira is an Interviews editor at Full Stop and teaches Philosophy at Hofstra University.